You had the time of your life in Israel. Now, share the gift & pay it forward. Spread the love & learn more here. Onward Israel offers exciting resume building opportunities—internships, service learning, academic study & fellowships—providing you with a global, cross-cultural experience in Israel & direct contact with Israeli peers. Participants in each program come from the same community or organization, creating an opportunity to build local networks & carry on your connections after the program. Onward Israel is powered by The Jewish Agency & participating local Jewish federations & organizations. With Masa Israel​, you can work, volunteer, or study in Israel through over 150 programs. 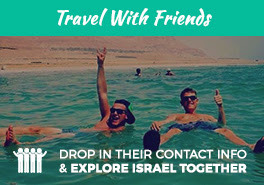 Masa Israel connects young Jewish adults to long-term programs in Israel, providing grants & scholarships for program fees as well as support, activities, & resources while in Israel. Kefiada: JUF's Kefiada is an English-speaking day camp in JUF's Partnership Region of Kiryat Gat-Lachish-Shafir in Israel's Northern Negev. Camp counselors are college students from Chicago or who go to school in Chicago. Camp runs from late June-late July. For more information, please visit http://www.juf.org/p2g. Alternative Winter Break Trips are an incredible opportunity to volunteer in Israel & do something you would not do on an ordinary trip. Join JNF & other Jewish young adults, ages 18-30, for a week of community service in either Northern or Southern Israel & connect to the land & people of Israel in a meaningful way. To learn more, visit www.jnf.org/asb. Learn more about alumni, leadership trips that Shorashim is the acting trip provider for at shorashim.org. Interested in getting involved on your campus? Reach out to Lauren to get set up! Temporary Positions at Shorashim: During particularly busy registration periods, Shorashim hires temporary employees to assist with the process. We look for high-energy applicants who are motivated, passionate about Israel, & looking to work in a fun, fast-paced environment. For more information, please reach out to us at info@shorashim.org. Shorashim Internship Opportunities: We are always looking for interns during the semester or summer to assist various departments of our organization. As we foster professional development & propel interns to become involved & grow within areas of interest in our organization, students gain first-hand experience working in the nonprofit world. Opportunities include focus tracks on logistics, events, registration, recruitment, marketing, communications, programming, & more. For more information, please email info@shorashim.org. Want to learn more about the amazing tailor-made programs & opportunities that Shorashim provides? Check out shorashim.org to learn more.